What will you get if you join us? Throughout the year the Liverpool Chamber of Commerce organises functions and events. Members will receive a special discount rate on all these functions and events (if applicable). The Liverpool Chamber of Commerce has a web page with a listing of all current members. You also have the option for additional information, including a short description and a small logo to be included. 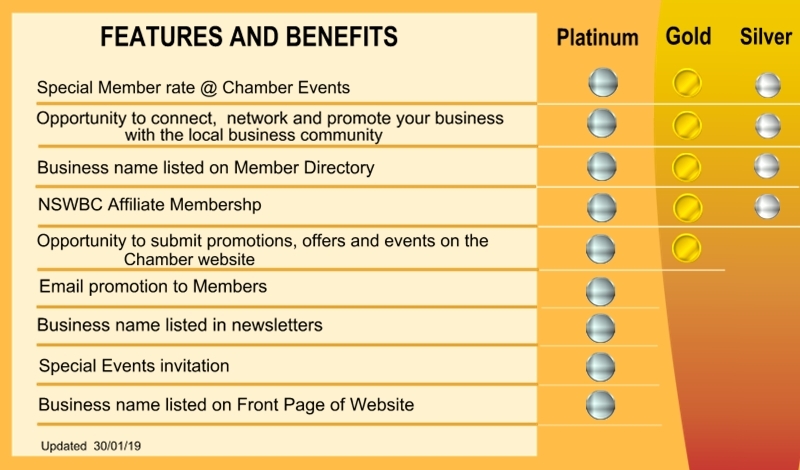 To further promote your business, at the Liverpool Chamber of Commerce functions and events, your logo will be displayed on a slideshow prior to the main presentation or key speaker address. Your logo appears in a panel located on the news page. This is the second most visited page on our website. Your logo appears in the footer of all Liverpool Chamber of Commerce newsletters, with a link to your website. You have the ability to publish your stories, specials and events in our newsletters. You have the ability to submit your own news. A summary and title, of your article, will appear on the home page. The full story appears when a link is clicked. News can include text, images, videos and links to other websites. Content is automatically sent to the Liverpool Chamber of Commerce Twitter and Facebook accounts after posting. Events can be submitted for posting on the general calendar page. Features may include recurring events, Google Map links, images, text and embedded video (if hosted at a 3rd party site like YouTube). From time to time, the Liverpool Chamber of Commerce is provided with invitations to special events. This is another great opportunity to expand your business network and, at the same time, promote your business.